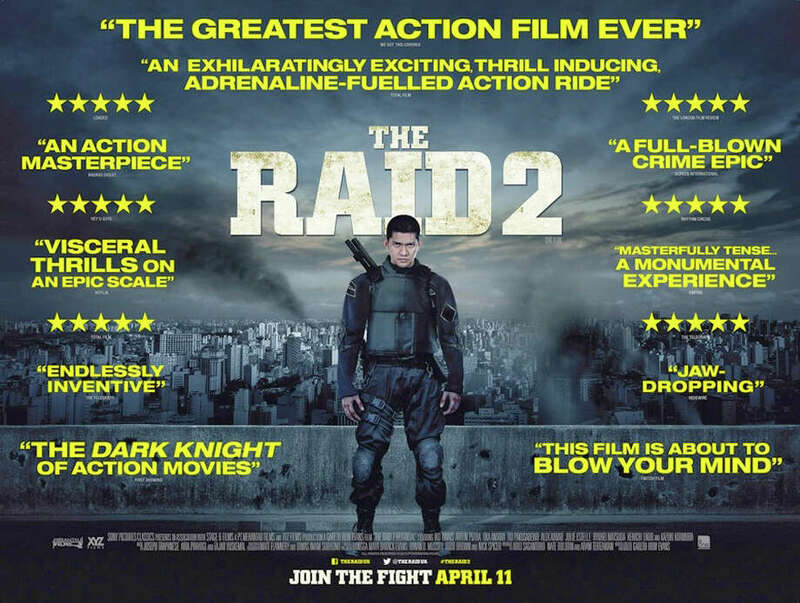 "The Raid 2" is an Indonesian martial-arts film, a sequel to the 2011 movie, "ìRaid: Redemption." It's obvious from the get-go that this genre sequel to Gareth Evans' 2011 "Raid: Redemption" is going to be an intense, uber-violent action adventure. Set in Indonesia, just hours after the conclusion of the previous film, it's the epic tale of a heroic Jakarta cop infiltrating an underworld cartel in order to weed out the rampant corruption within the city's police force. When Rama (Iko Uwais) joins a covert undercover police force, he's given a new identity and sent to prison where he befriends Uco (Arifin Putra), the hot-tempered scion of a crime family. Two years later, when Rama gets released, Uco's grateful father, Bangun (Tio Padkusadewo), gives Rama a job as an enforcer. Problem is: impatient Uco wants to take over the business and is tempted by seductive offers from leather-gloved Bejo (Alex Abbad), a rival boss who previously bumped off Rama's bad-seed brother in a sugar-cane field. That places Rama right in the middle of a father/son turf war, fighting off psychopathic assassins like Baseball Bat Man (Very Tri Yulisman) and Hammer Girl (Julie Estelle), while his long-suffering wife and infant son wait on the sidelines. Obviously, Welsh-born writer/director Gareth Evans surrounds himself with martial-arts specialists who pride themselves on inventive methods of annihilation -- like pushing a man's face onto a steaming griddle. Stretched over two-and-a-half hours, the relentless mayhem is adroitly photographed and carefully choreographed with a bizarrely artistic flair, particularly the careening, multi-vehicle car chases, reminiscent of "The French Connection" -- all punctuated by a primarily percussive soundtrack. There's little CGI, so it's all accomplished by stuntmen and adroit editing. But how the combat scenes with their explicit carnage managed an R-rating is a mystery; NC-17 would have been more appropriate. But then it couldn't have played in mainstream theaters. On the Granger Movie Gauge of 1 to 10, "The Raid 2" is a sadistic 6 -- and the fact that it's subtitled doesn't much matter since the bloody, brutal brawling transcends the language barrier.